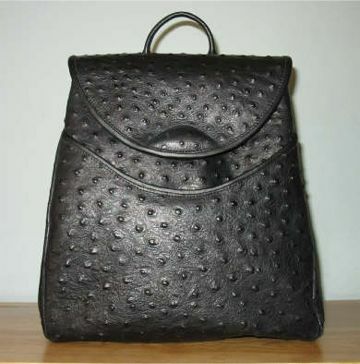 A Midsize handy Backpack in Black Faux Ostrich leather. Leather lined and secure. Shoulder straps run through bag front.